Bionic arm made for a 7year old girl for an FNB Commercial. 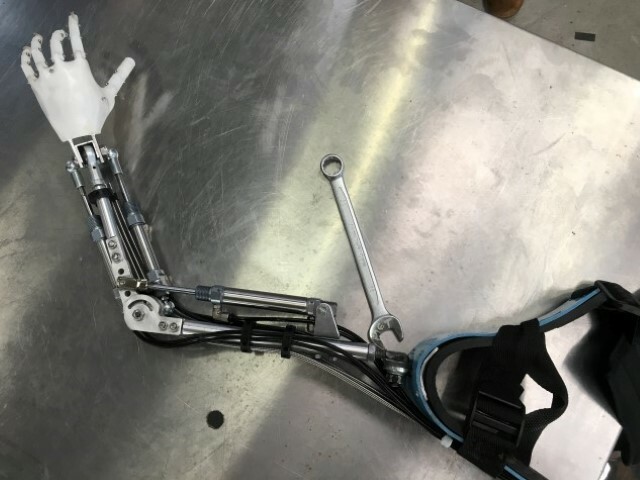 Hydrolic actuators ensured smooth movement of the elbow and wrist and the 3D printed hand and fingers were animated as well. The arm was attached to a custom-made harness and strap to comfortably fit the girl's shoulder.